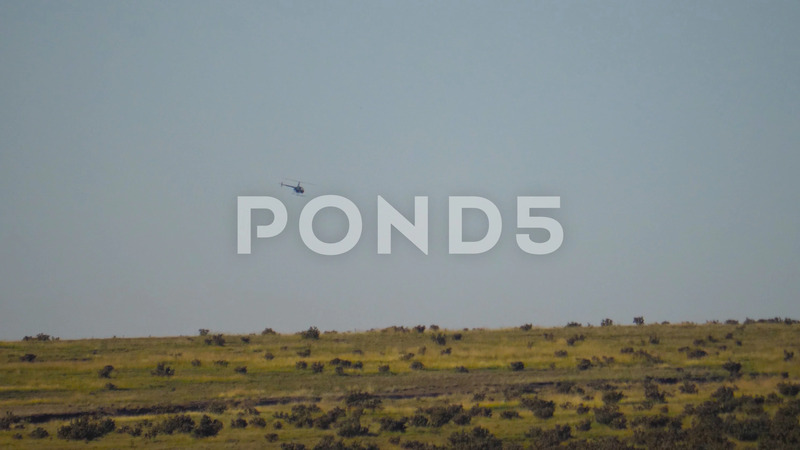 Description: 4K, helicopter flying over a plain in Colorado Spring, Texas. The aircraft moves its propellers and flies very close to the ground. It approaches the horizon line and gets lost behind it.